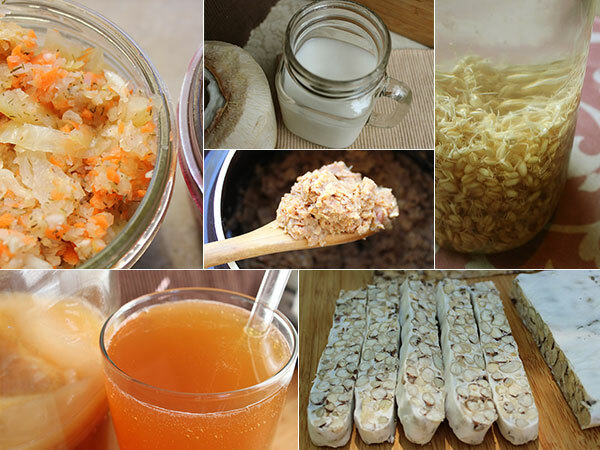 This is our list of fermented food recipes that we offer for FREE on the pages of this website. We have long adopted them as vegan staple foods and dietary condiments that we make on regular basis for their flavor as well as their nutritive health qualities. 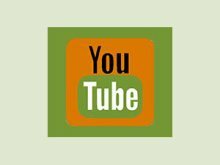 Most of these recipes are perfect for those new to food fermentation with simple step by step instructions, helpful tips and basic tool requirements. 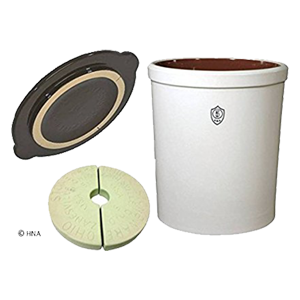 The only thing you will need to acquire in advance is your culture starter, which varies depending on the food or liquid you choose to ferment. Some of these starters are hard to find items not commonly found in stores, but must be purchased from online suppliers. We list some of our top recommended favorites by category in our Fermented Foods Store. We are "make it homemade" enthusiasts and always encourage do-it-yourself versions over commercially manufactured foods whenever possible. Whether you are creating whole food or raw vegan meals, growing sprouts, concocting herbal tea formulas or making your own cultured foods, there is nothing quite like a creation made by your own two hands. In addition, handmade foods can not only be higher in nutritional properties but are also extremely cost-effective, often giving you way more quantity for the price of ingredients used. When it comes to making fermented foods, they are typically made in large batches and, as a naturally preserved food, can be easily stored for later use. This means that the time and effort you spend making your recipe is worth much more than just one small serving. 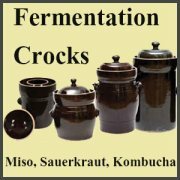 Our fermented food recipes average out to about 8 portions of tempeh and seed cheese, 16 shot-size glasses of rejuvelac, a quart of coconut kefir, a gallon of kombucha and miso and half a gallon of sauerkraut. Because these foods and drinks must go through a fermentation process in order to fully mature and become beneficial to health, it may take a bit of practice when you initially begin to cultured your own food and drink. One of the main things we have discovered over the years, when sharing recipes with others, is to keep it simple with very basic fermented food recipes that you can later build as you develop more experience. 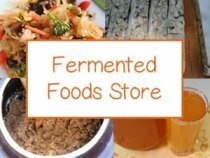 Fermented foods are foods (and drinks) that undergo the process of fermentation in which various microorganisms, like lactic acid bacteria, transform vegetables, beans, milks, liquids, nuts and seeds into savory, soured or pickled foods. This is accomplished by using a starter culture or specific bacteria species, usually in the form of a powder or grain-like substance. These bacteria when added to the food substrate literally feed on it, producing as a by-product many enzymes and bacteria beneficial for healthy human gut microbiota and enhanced digestive functions. 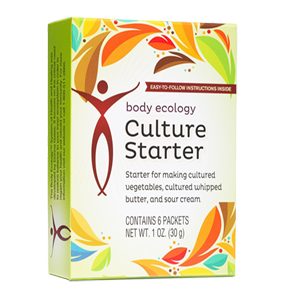 Any one culture starter is usually made up of a microbial community of different species that work together collectively to create a beneficial environment for their continued proliferation. Placed in the appropriate environment conductive to their growth, often an anaerobic oxygen-deprive one, beneficial microbial species dominate and protect the food from less beneficial molds and harmful microorganisms. The fermented food recipes we list below are the transformative action of these microscopic organisms, producing a flavor enhanced condiment, food or drink with additional health promoting compounds specific to each variety. Our homemade kombucha recipe is incredibly easy to make and just as delicious, if not more, as any store-bought variety. If you can make a pot of tea, you can make kombucha. 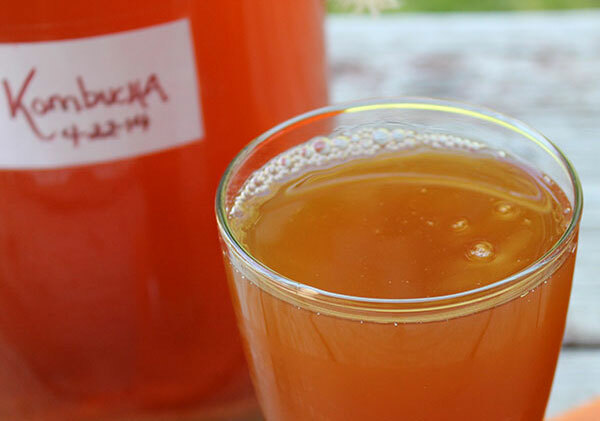 To make kombucha, four simple ingredients are required: water, tea, sugar and a kombucha "scoby" culture or a small amount of active kombucha liquid. 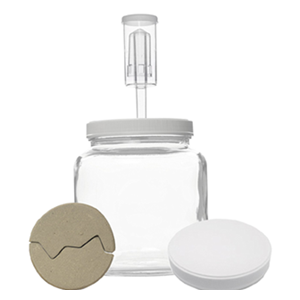 The initial process involves steeping your tea, dissolving the sugar and placing everything in a gallon jar with preferably an airlock fermentation cap. During a period of about 10-14 days, the liquid will begin to culture producing an effervescent beverage and health enhancing drink. Making your own kombucha can be a fun experience for the whole family and saves you major costs on commercially manufactured drinks. Homebrew's also can be tailored to your own taste preferences and also potentially contain greater health-enhancing components over commercial varieties rendered to produce a more uniform product. Over time you can experiment with using different types of teas, sweeteners and adding in herbs, spices, fruit juices and various superfoods. 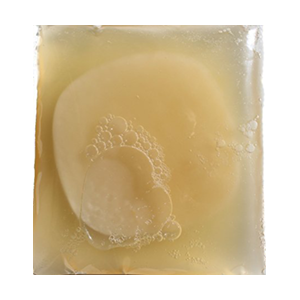 You can grow your own scoby using a bottle of active kombucha liquid or you can buy them from online suppliers. Unpasteurized raw cultured vegetables are zesty, pickled taste sensations packed with enzymes and probiotics, extremely beneficial for a healthy digestive tract. Many people these days are learning to make their own raw sauerkraut from scratch the way many cultures around the world have been crafting it for centuries. Homemade sauerkraut is very affordable to prepare with minimal kitchen tools and ingredients. Sauerkraut is one of our top favorite fermented food recipes to prepare and we have been making it homemade-style for many many years. One of the benefits to handcrafting your own is that you get to select from the wide variety of vegetables, spices and seasonings that correspond with your personal tastes as well as health goals. 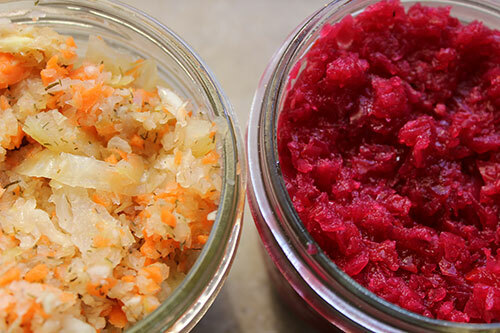 Here on this website, we provide our cultured vegetables recipe, plus two basic sauerkraut recipes to get you started fermenting quarts or gallon jars with helpful tips to guide you through the process. Culture Starter: There are naturally occurring Lactobacillus cultures present on most vegetables, especially cabbage, which act as a natural culture starter that will eventually proliferate your veggies and promote lacto-fermentation. 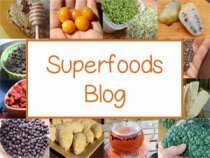 To help this along many people also add in small amounts of different powdered probiotic strains of the lactic acid bacteria called Lactobacillales. This includes species from the genus Leuconostuc, Lactobacillus, Lactococcus and Pediococcus. Kefir is a thick, yogurt-like cultured drink traditionally made from dairy milk, but can also be made from coconut milk or various nut milk varieties. It is a sour, yet refreshing, fermented food inoculated with valuable bacteria and yeast that break down the lactose in milk, or other sugars found in vegan milks, into lactic acid and propionic acid. As it ferments, it develops a complex matrix of beneficial microorganisms that can be helpful for reestablishing healthy gut flora and boosting immune functions. Regular or periodic consumption coats the lining of the digestive tract and intestines where these friendly bacteria can further incubate and colonize. If you decide to make kefir from dairy milk, we would advise using organic raw milk as oppose to pasteurized. 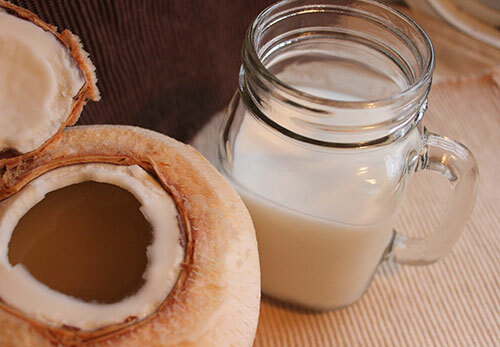 For those of you who would like a raw vegan option, try out our coconut kefir recipe created using fresh Thai coconut water and meat. Fermenting kefir is a short event, only taking about 24 hours to produce a completely cultured drink. Culture Starter: To ferment dairy or vegan milks you will need either a powdered culture starter or "kefir grains", a rubbery cauliflower-like mass that continues to grow the more you use it. 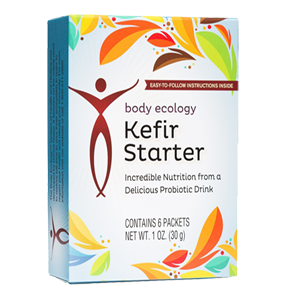 Using kefir grains is the traditional way to make "true" kefir as the culture contains a complex array of lactic acid bacteria and yeasts, unlike the powdered kefir starters. 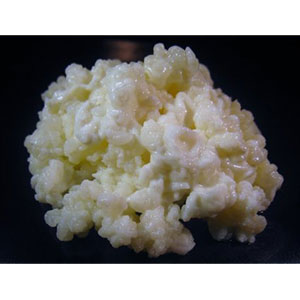 Kefir grains can also be used over and over for new batches or kept in the fridge or freezer for later use. 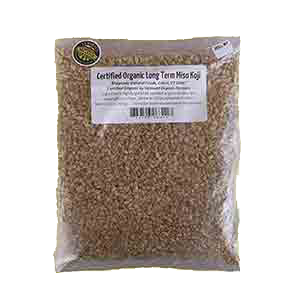 We have had our kefir grains for over 15 years! 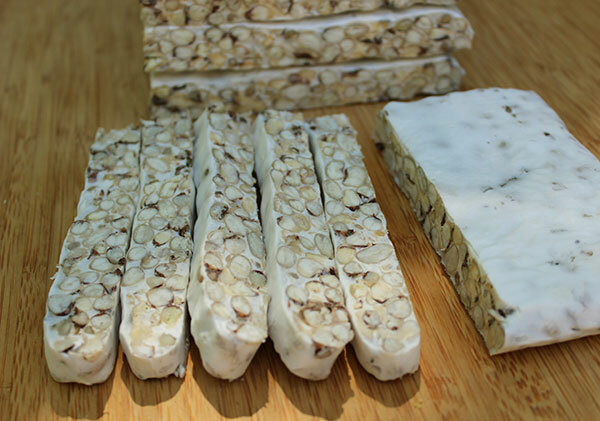 Seed cheeses are made using a combination of nuts and seeds, soaked and blended with seasonings and probiotic culture. The fermentation process can take anywhere from between 6-48 hours or much longer for advanced cheesemaking. The procedure is very similar to making aged dairy cheeses, using the same techniques employed to separate the curd solids from the whey liquid. In this case the curds are a non-dairy plant-based variety that is cultured for a period of time to develop certain flavors and textures. 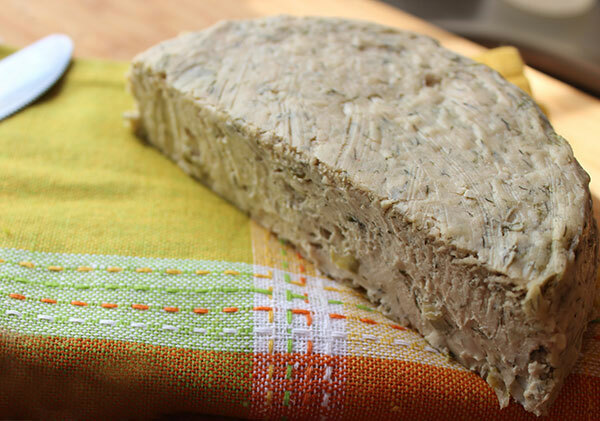 The initial form of "seed cheese" was a short ferment created using mostly sunflower seed and sometimes pumpkin seed back in the 1960's, but since this time there have been some new developments in the raw vegan world. Cultured non-dairy cheeses are now being made with other nuts and seeds like hemp, almonds, cashews and macadamia and fermented with weights to create a sliceable cheese consistency. On our seed cheese recipes page, we share our basic seed cheese recipe, in addition to a cultured cream cheese and a turmeric Parmesan variety. 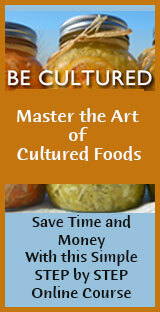 Culture Starter: Seed or nut cheeses are usually inoculated with a probiotic culture. 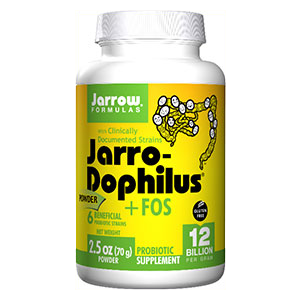 The one most predominantly used among gourmet raw vegan chefs is the Lactobacillus acidophilus species. 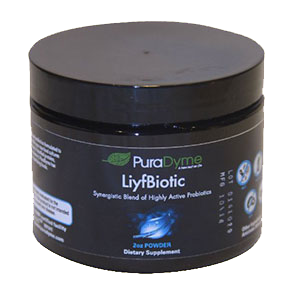 This can be purchased as a probiotic supplement available in powdered form. Alternatively, many people still use rejuvelac to culture seed cheese, the traditional way it was accomplished back in the old days. Although you may think that making homemade tempeh is a very involved procedure, it couldn't be more rudimentary. It essentially encompasses fermenting cooked beans together with small amounts of vinegar and tempeh starter, which is then cultured over a 24 hour period at a temperature between 85-90°F (29-32°C). As far as fermented food recipes go, this one is probably the pickiest as far as incubation temps, which need to be fairly stable during this process. We share several ways to do this on our recipe pages for black-eyed pea tempeh, garbanzo bean tempeh and black bean tempeh. If you are not necessarily a tempeh lover, we would like to reassure you that homemade tempeh tastes nothing like the bland and rubbery tempeh you find in most health food stores. Fresh tempeh has a rich exquisite flavor much like that of gourmet mushrooms with a firm sliceable but pleasant texture. The added bonus to making your own from scratch is that you don't have to use soybeans. Tempeh can be created using most any bean variety. 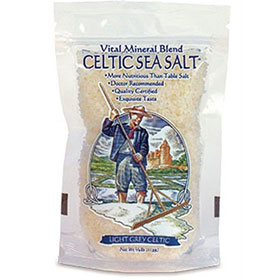 Over time, as your skills improve, you might also want to add in grains and any number of seaweeds and spices. Culture Starter: To make tempeh you will need to purchase a starter, which is basically the Rhizopus oligosporus/oryzae mold spores on a dried rice substrate, usually in powdered form. Once you have a good starter (preferably an Indonesian variety) you can actually propagate more of your own by dehydrating thin slices of over-ripened tempeh and blending it into a powder. This is an advance technique, however, not recommended for beginners. Miso is by far the longest ferment on this list of fermented food recipes. Taking anywhere from 6 months to 2 years or longer, it is however well worth the wait. Once you get into the habit of making a new batch every time you decant a fermented one, you will always have many jars of homemade miso available as a back stock. There are a number of benefits to making your own and, like tempeh, one of them is that miso can also be made from other beans, not just soybean. Soybeans are a traditional bean used in Asian cultures, but some of our favorite miso's are made using black bean and garbanzo bean (or chickpea). We show you how to make miso using garbanzo bean on our homemade miso recipe page and using black bean on our black bean miso paste recipe page. The actual action required to create the initial paste takes less than 3-4 hours, including bean cooking time. The rest is simply waiting for the culturing process that occurs most rapidly in the warmer seasons. Miso years are calculated by the number of summers it has aged. So, if you have gone through one summer of fermentation, then you have one-year-old miso, technically speaking. It is always best to allow 6 months for a higher quality end result. We usually ferment ours for at least one entire year, decanting miso made in winter the following winter season. 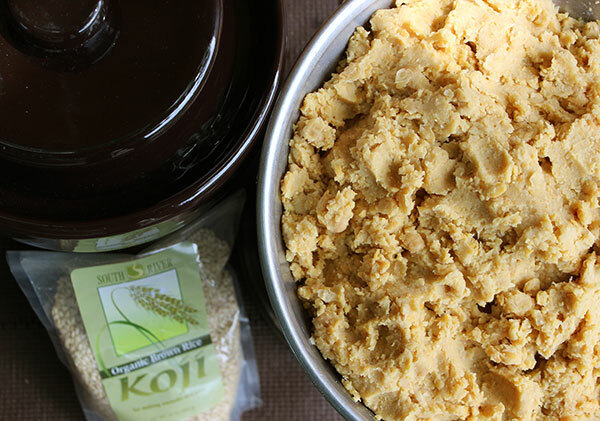 Culture Starter: Miso requires the culture starter called "koji" which is usually a rice grain inoculated with the Aspergillus oryzae mold species. This is a B-12 synthesizing organism that produces lactic acid bacteria, which not only cultures the beans but helps to protect the miso from spoilage. It is also used to make amazaké, soy sauce, saké and pickles. Rejuvelac is probably the easiest ferment to make out of all our fermented food recipes. It doesn't require special culture starters and only involves two ingredients: water and grain. The grains, usually wheatberries, are sprouted in advance and added to a jar of pure water for a 1-2 day period. The end result produces a slightly tart, lemony-tasting liquid that acts as a digestive aid via its increased enzyme content. The beverage is also particularly helpful as a natural gentle laxative and also contains beneficial Lactobacillus bacteria. It can be made from a variety of grains like rye, kamut, barley, millet or quinoa, each producing their own unique flavors. Some grains like quinoa and millet may also be more suitable for those on a gluten-free diet. The one thing you do need to prepare in advance is the sprouted grain of your choice. Sprouting grains is a very simple process that involves soaking and straining the grain in a jar for several days until until it produces tiny white sprouts. 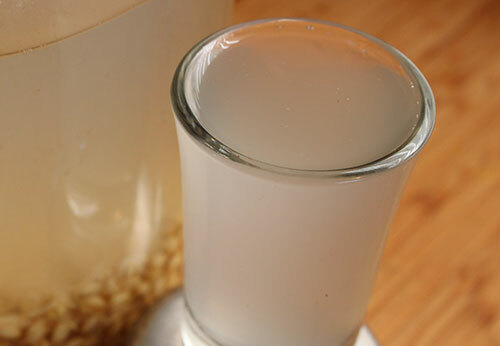 Rejuvelac is one of those fermented drinks that can't be purchased from the health food store, but must be created homemade-style. We have two recipes for making rejuvelac, one using the traditional sprouted wheatberry and the other is made using sprouted quinoa. 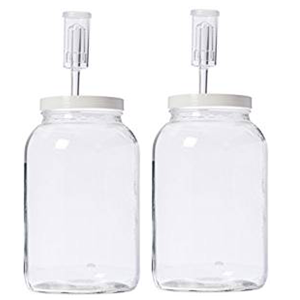 Culture Starter: Rejuvelac is a bit different than other ferments in that you are not using a specific culture starter, like you would when making other fermented food recipes. It is considered a "wild fermentation" because the beneficial microorganisms needed to successfully culture the water are naturally present on the grains and sprouts themselves. No added starter is therefore required. When first introducing homemade fermented food recipes into the diet, it is normal to experience some initial gas and bloating. 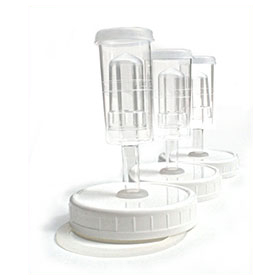 Excessive amounts of fermented food and drink, however, can cause stomach upset and loose stools in some cases. It is important to consider avoiding homemade fermented food recipes if you have severe allergies to molds.